The one-of-a-kind styles and sophisticated and contemporary aesthetic of Mac Duggal's prom dress designs are what launched the brand into the realms of evening wear for social and special occasions. 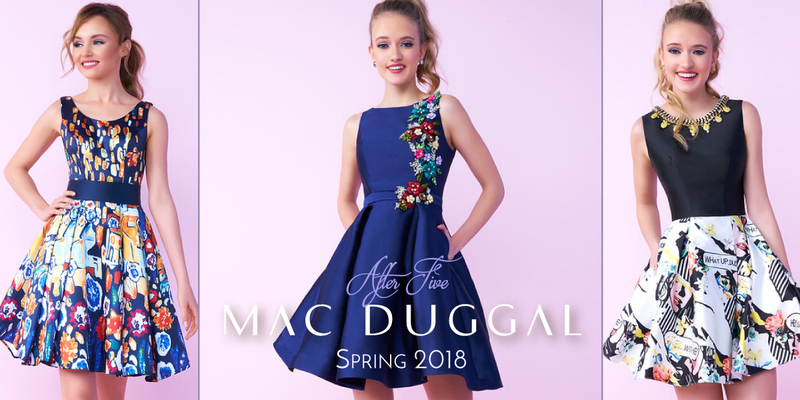 Today, the Mac Duggal brand has transformed into a highly sought after label that is courted by A list celebrities, TV personalities, athletes, pageant titleholders and influencers globally. Knowing that today’s woman is dynamic both in fashion and life Mac Duggal creates gowns that touch the very essence of the woman who wears them.